Kentucky State University’s Louie Rivers Jr. will receive the 2017 Excellence in Extension Award – a prestigious national recognition for extension workers with visionary leadership, a track record of excellence in programming and positive impacts on their community. The award, which has been presented since 1991, is given by the U.S. Department of Agriculture’s (USDA) National Institute of Food and Agriculture (NIFA) and the Association of Public and Land-grant Universities (APLU). Rivers has served KSU’s Cooperative Extension Program for more than 23 years. He has secured and managed more than $12 million in extramural grant funding to enhance the institution’s work with the small, limited-resource, minority, veteran and women farmers in the Commonwealth of Kentucky. In 1997, Rivers worked alongside Dr. Marion Simon to found the Third Thursday Thing workshop series that provides small farmers from across Kentucky with hands-on training and multidisciplinary research every month in areas of horticulture, organics, livestock, pasture, forestry, aquaculture, apiculture and cropping systems. The 20-year program is still thriving today. Rivers also co-created the Small, Limited Resource, and Minority Farmers Conference with Simon, which is held in November each year in Frankfort, Kentucky. Program participants learn about USDA resources and other farm service agency loans. As the director of 1890 County Operations at the Cooperative Extension Program, Rivers has taken lead roles in many farmer organizations including the Partners for Family Farms, Community Farm Alliance, the Fairview Produce Auction, the Meade County Black Farmers Association, and the Farmers2City Connection. He has partnered as a project manager with the University of Kentucky on their Beginning Farmer Project, KY SARE Model State Program and approximately 90 grant projects. He works as a partner to the Southern Sustainable Agriculture Working Group and leads the Kentucky farmer discussion, and the Federation of Southern Cooperatives, where he provides a bus tour and leads the Kentucky discussion. Rivers is also called upon regionally and nationally to present the 1890 viewpoint. 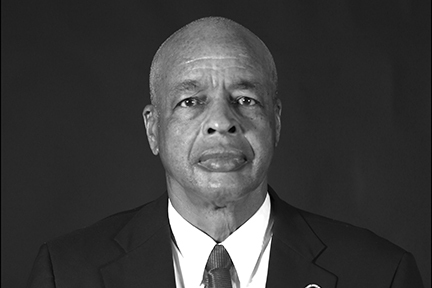 He serves as Kentucky State University’s CARET and APLU representative. Rivers, along with other award recipients, will be presented with their award at the APLU annual meeting in Washington, D.C. Nov. 12. “We are very honored to have Louie Rivers Jr. recognized for his many years of dedication and service to KSU’s Cooperative Extension Program. We celebrate him on this major achievement,” said Dr. Johnnie Westbrook, associate extension administrator at Kentucky State.